After analyzing the dojo.css file I understood, that my main.css file and the dojo.css are the files for generic css statements (just different settings). 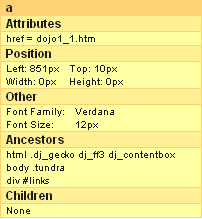 The right solution: exclude the dojo.css file. 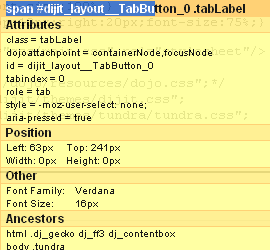 Now I have the formatting from my main.css file and everything (except of the dojo TabContainer) is under my controll. (See the font-size and the font-family on the images).